The two acre Helenenkloster site is a Richter Estate monopole. 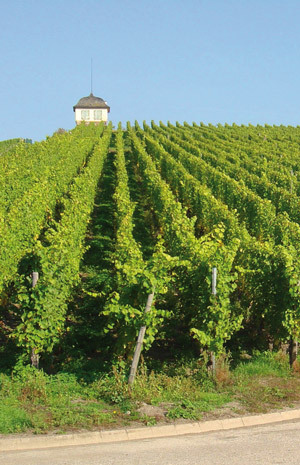 The first records of this vineyard date to April 30, 1245 when it was donated to its namesake, the nearby St.Helen convent, by the Count of Veldenz. The ruins of this ancient convent are buried under the present vineyard site. The Helenenkloster is situated on the east end of the town of Mülheim on a prominent ridge that allows a stunning view of the Mosel valley, from Monzel to Bernkastel-Kues. It here that Richter ancestor Franz Ludwig Niessenmet with Emperor Napoleon I in Novemberof 1813, convincing him to spare Mülheim and Veldenz from oncoming French troops in exchange for a personal donation of 3000 Taler. The vineyard features south-western exposure and is less steep than other Moselvineyards, allowing it to be worked by small vineyard tractors. The grey slate soil is enriched by fine grained gravel and loam. 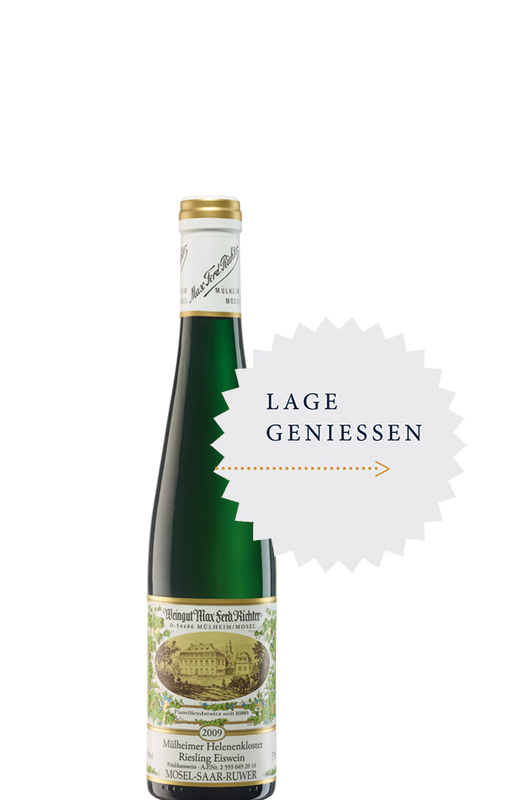 This terroir produces powerful Riesling; hardy canopies and grapes withstand the late-seasonweather, allowing Richter to produce Eiswein (ice wine) from this vineyard almost every year. The first Eiswein was produced in 1961.